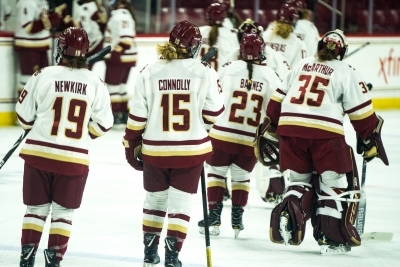 Katie Crowley Archives | BANG. 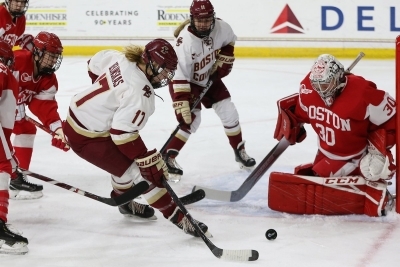 After a disappointing loss in the Beanpot semifinal, the Eagles came out strong and captured a dominant victory on Friday. 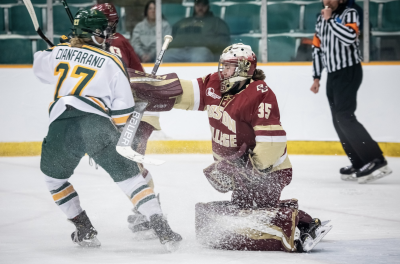 BC Women's Hockey bounced back from a rough week to take an overtime win on Friday, but fell to Merrimack on the road Saturday. 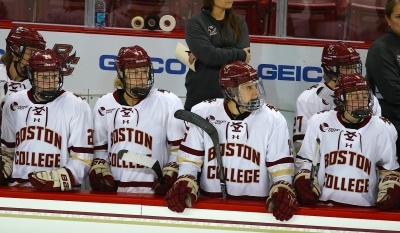 The Eagles led the Terriers in shots 37-13 and skated away with a victory in the first Comm. 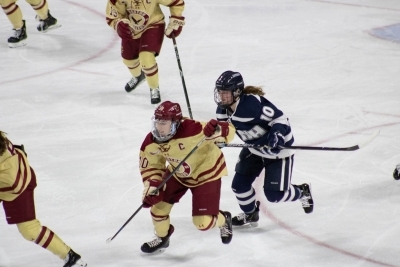 Ave. rivalry matchup of the season. 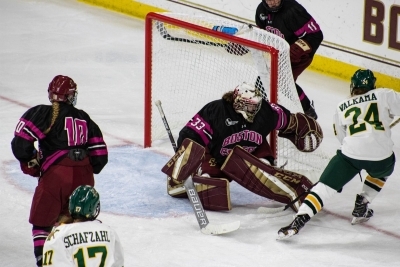 Freshman goaltender Maddy McArthur notched her first career shutout as the Eagles cruised past Vermont, 3-0. 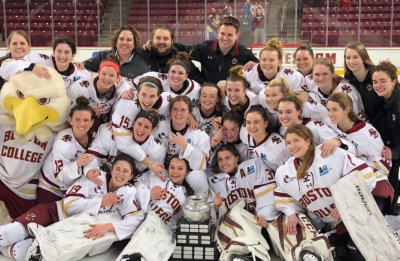 Tori Miano netted the game-winning goal in overtime to hand the Eagles their eighth Beanpot trophy of all time. 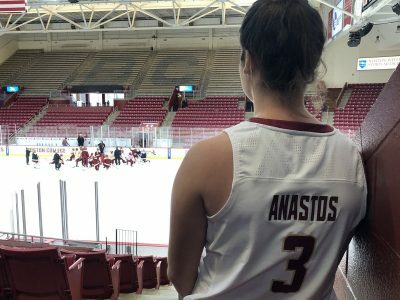 Get to know the women’s hockey star turned basketball play maker.